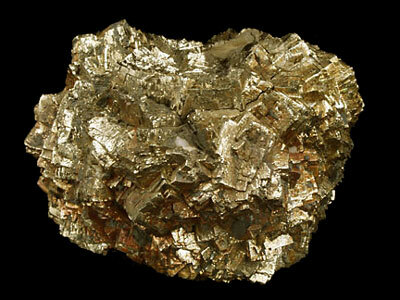 Unlike gold, which is prized because of its color, brightness, bendability, and rareness, Fool's Gold (Pyrite) is not a metal, but rather, a sulfide made up of iron and sulfur. Pyrite is much harder and more brittle, and it tarnishes to a dark brown. Fool's Gold is very common, and this has led to many people thinking they had discovered real gold over the years. Pyrite forms when hydrogen sulfide combines with iron. These common elements often fuse and are carried by heated fluids to cracks in native rocks where pyrite is deposited. The only real commercial value of pyrite is that it can be used to make sulfuric acid for industrial purposes. It is attractive, and many museums like the Science Museum of Minnesota keep specimens of Fool's Gold for display or educational purposes.